I'd made Savory Oatmeal before, and more often than not, it's the oatmeal flavor we eat. Thus, when I saw this recipe from Mostly Food and Crafts, I knew I wanted to give it a try. Plus, we liked the idea of putting an egg on top. 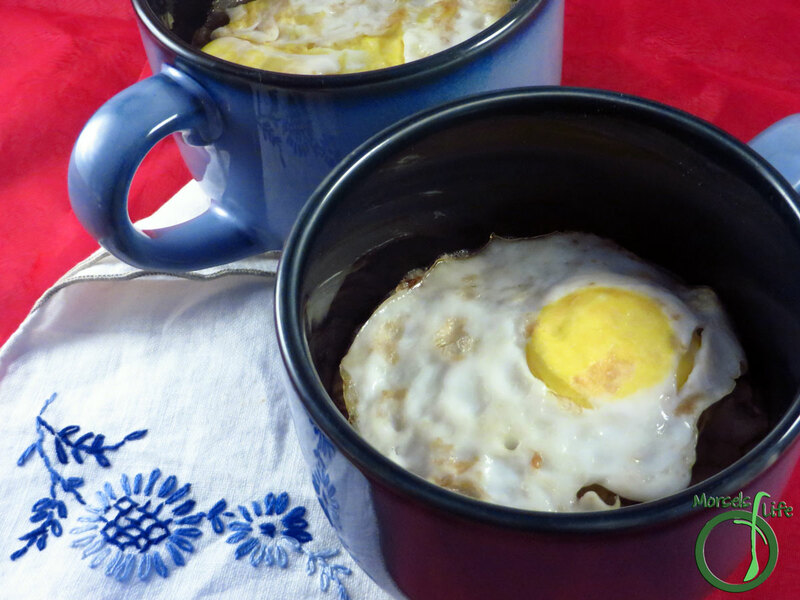 :) After making this savory oatmeal, James actually put an egg on top of our usual Savory Oatmeal the next time he made it. 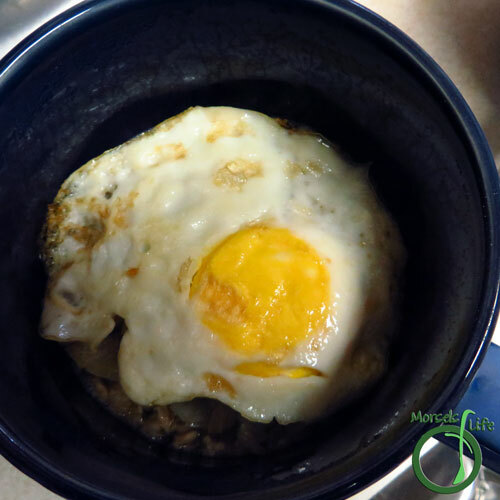 Not only does the egg on top add some protein, it saves an extra dish to wash. Sounds like a win-win to me! 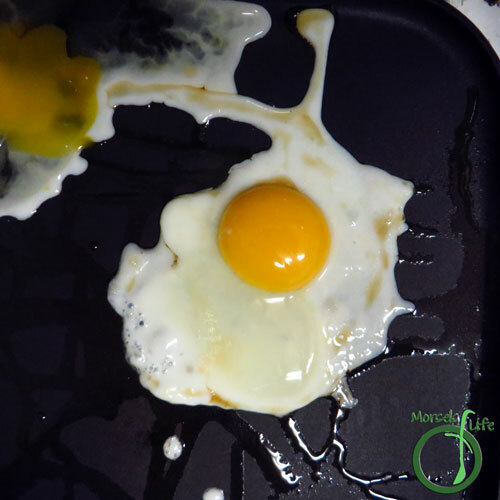 We like our eggs over hard, but you could easily substitute with your own preferences. Next time, hopefully I'll remember to sprinkle some sesame seeds or furikake on top too. 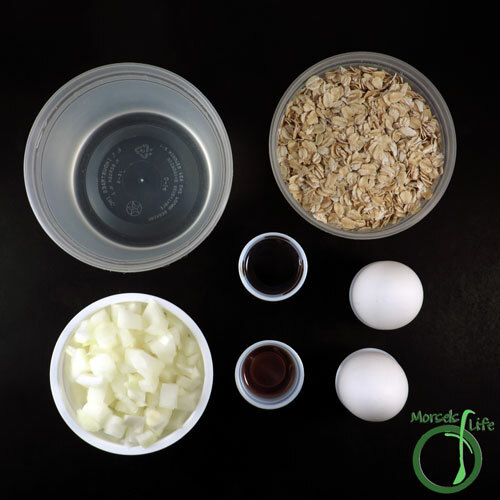 What's your favorite savory oatmeal add on? 3. 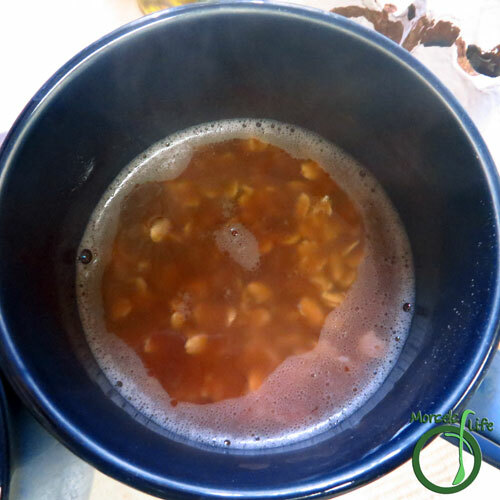 Combine oatmeal, boiling water, soy sauce, and sesame oil. 4. 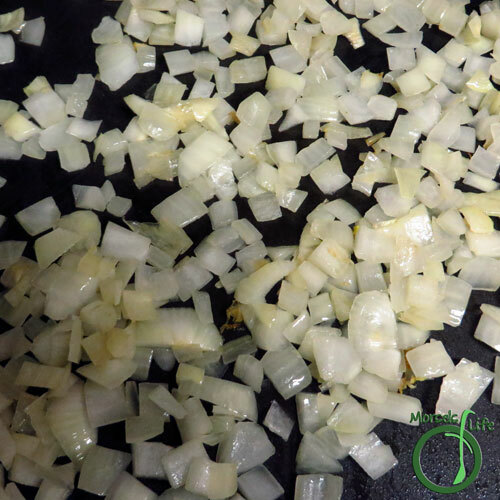 Cook up onions in a bit of oil. 5. 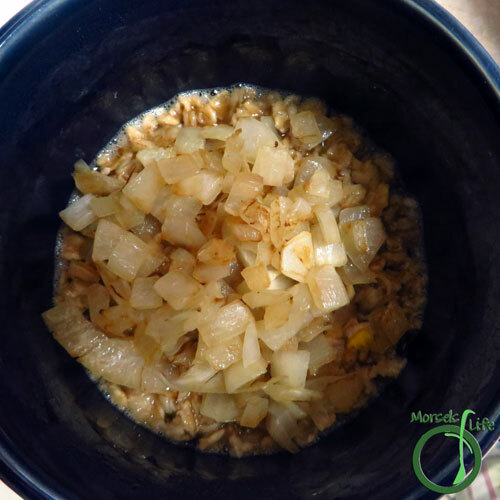 Top cooked oatmeal with onions. 6. 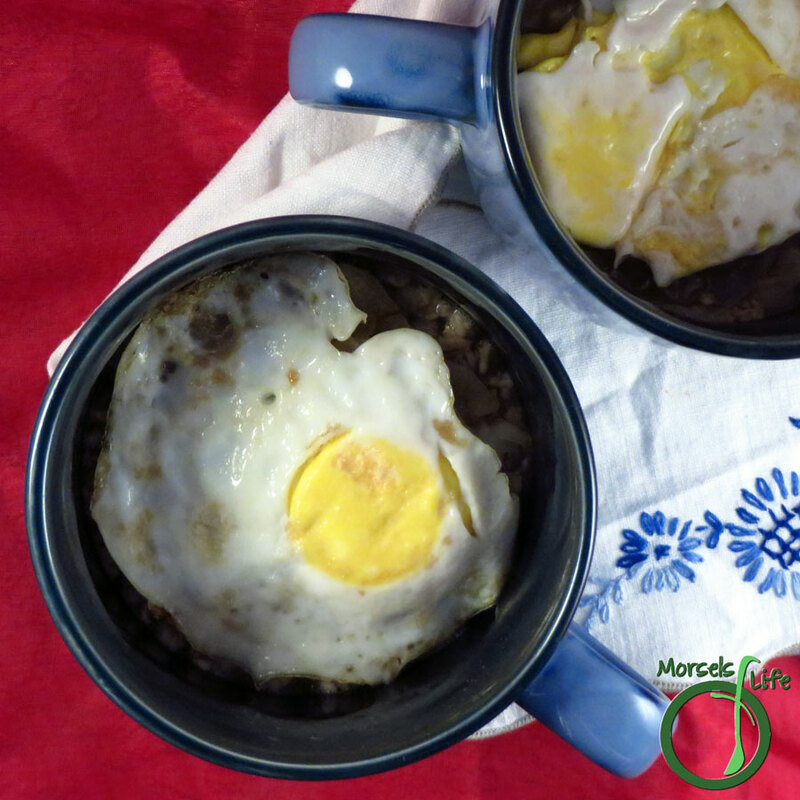 Top with egg. Eat and enjoy. We loved this recipe. So different from the usual way we enjoy oatmeal! What a genius idea adding the egg on top of the dish! I love it. I have never heard of savory oatmeal or thought about adding onion and soy sauce. What an interesting - and delicious sounding - alternative. 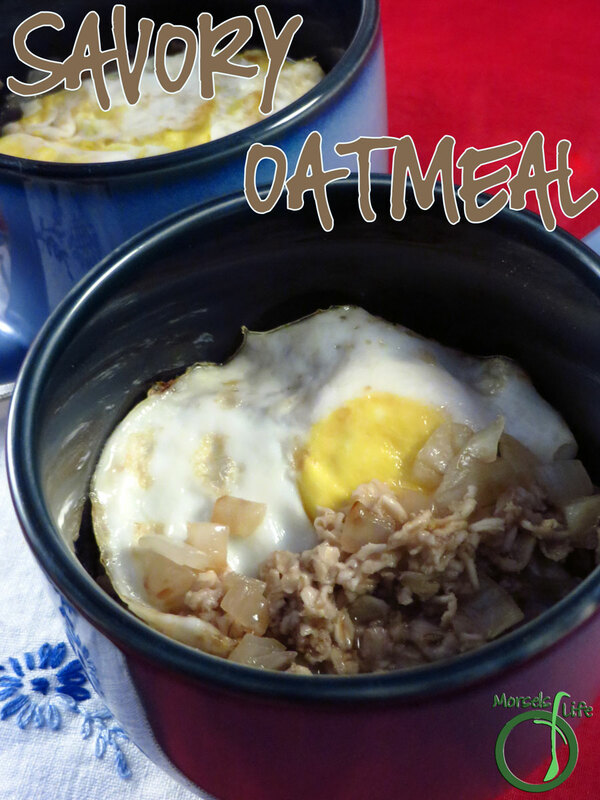 I've never had savory oatmeal, but you've captured my attention - I think this is a must try. Thanks for sharing on the What's for Dinner link up!